Colour and texture epitomise India’s culture and every day life, and the country’s handmade fabrics represent a vibrant part of this, using embroidery and other techniques to share histories and myths, as well as the heritage of the sub-continents crafts people, plant-life, royalty and deities. 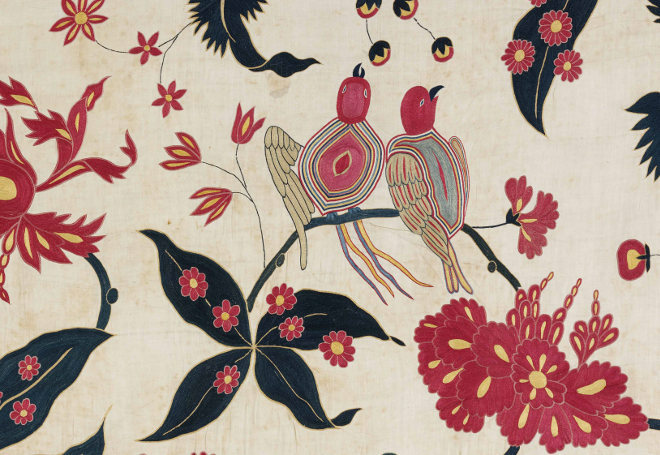 It’s all revealed in a vivid exhibition running at the Victoria and Albert Museum titled The Fabric of India. From religious expression through sacred cloths to the sumptuous swathes associated with royalty, the history of India is bound in with exquisite textiles still being produced using traditional methods today, even as modern designers adapt the expertise of their ancestors to create vibrant new interpretations through fashion and art. It’s a visually delectable exhibition with more than 200 objects on show, ranging from heirloom fabrics and dress to and cutting-edge fashion, many of which in public for the first time. The items whisper of India’s rich natural resources and varied geographical regions and climates, as well as the individual cultivators, weavers, dyers, printers and embroiderers who skillfully make use of them. Look out for the golden silks of Assam, the fine cottons of Bengal, or the red dyes of southeast India, as well as regionally distinctive weaves, prints and embroideries. 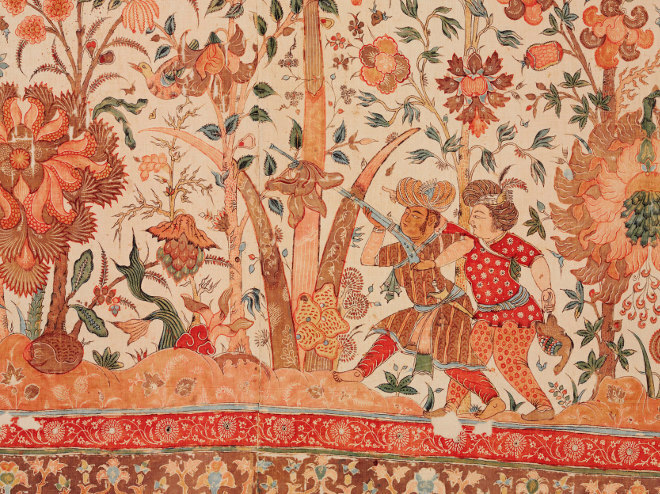 The Fabric of India will be at the V&A until 10 January 2016. Find details and book tickets at www.vam.ac.uk/whatson/event/5957/the-fabric-of-india.